Day trading can be an exciting time to take your money and turn it into an investment that will pay over and over again. This book contains three manuscripts from beginner to advanced trading tactics in Forex. Forex Trading: A Beginner’s Guide is for those of you who are just starting to consider trading forex but don’t know where to start, given the abundance of information on the Internet. It is a good first book to listen to to gain an understanding of the very basics. 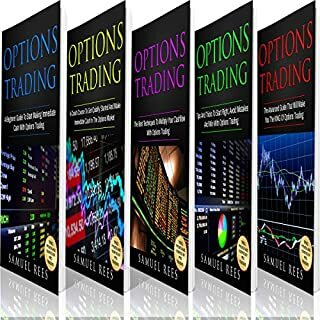 Do you have problems getting started with options trading? Not knowing the best techniques for multiplying your cash flow? Predicting big price moves? Or not knowing the meaning of Greek variables? If you do, within this book many of the top leaders in the field have shared their knowledge on how to overcome these problems and more, most of which have 10+ years' worth experience. 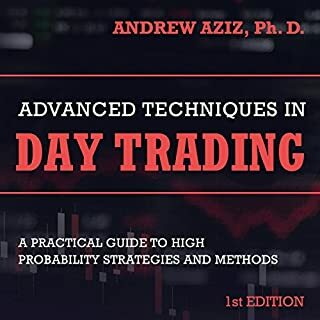 This book includes 5 manuscripts: Day Trading Strategies, Forex for Beginners’, Forex Advanced, Options for Beginners’, and Options Trading for Advanced Traders. This is the complete guide to get started or improve trading performance. There are a lot of great investment options that you can choose. Some people like to work in real estate, some like to put the money into their retirement plan, and others are fans of starting their own business. Most of these will take some time and effort to get done though. If you would like to pick out an investment that can make you some money today, it is time to consider day trading. Forex Trading: A Beginner’s Guide is for those of you who are just starting to consider trading forex but don’t know where to start, given the abundance of information on the Internet. It is a good first audiobook to listen to to gain an understanding of the very basics. When it comes to the daily trading amount for the various investment markets, the foreign exchange market, more commonly known as the forex market, blows everything else out of the water. Every day it averages roughly four trillion dollars, which dwarfs what the New York Stock Exchange is able to put out by more than 1,000 percent. While it was off limits to private traders for decades, these days, there are a wide variety of different Online forex trading platforms which means that the opportunity to profit from this massive market is open to anyone who is willing to put the time in to do it properly. 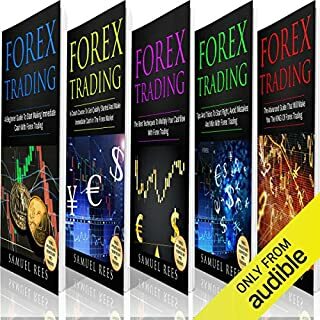 If you are interested in learning more, then Forex: Proven Forex Trading Money Making Strategy - Just 30 Minutes a Day is the book you have been waiting for. Investing in the stock market can be a challenge. There are many different ways that you can invest in the market, but sometimes guessing the way that the market will go is not the easiest way to make a profit. I like to trade as usual in forex. 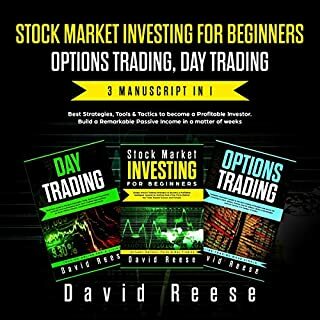 When I purchased this books they seem to be useless as they are written for beginners but after reading I found out a lot of new and interesting information about trading benefits as well as some useful advice about trading at all. I tried to use it in my everyday trading and it comes out really resultative. Doesn't include necessary diagrams to make any sense of the material. Instead of an actual audiobook, it seems like he's reading the actual book verbatim. Could have been much better. Very good book. 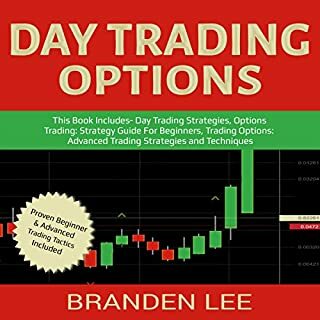 I went from averaging $20-30 trading daily to $100-140 on days I trade by following the books guide to taking your time being patient and using 2 combined strategies. One day I even made $712 in 1 8hr trade. This was using a DEMO account as I 1st wanted to become familiar and it certainly worked! I’m excited to open a real account using the same strategies and just take my time. It’s a long term investment in trading and learning I’m excited about this new venture. Hope this honest review of my personal experience helps others! This is a great follow up effort from the last book. 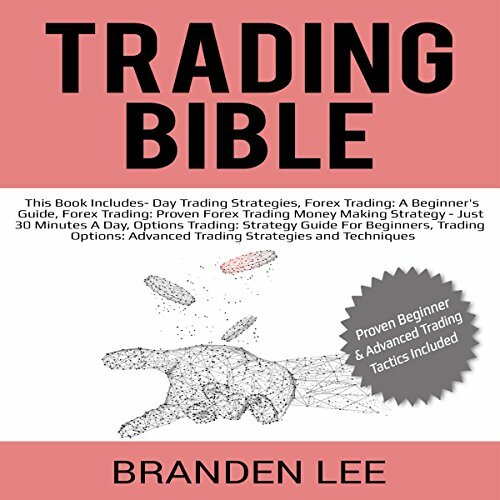 The Intermediate book goes into more detail and gives users with some basic trading knowledge a little more meat to their skills. I highly recommend it! In forex day trading Banking options and additional fee and charges are well written. Ways to limit risks is helpful. The information you will get from this book might overwhelm you because this is definitely for advanced traders.. Very informative. Gives great explanations and concept ideas for beginners of the cryptocurrency world. Great read. I absolutely Loved it! I read it on the plane and finished it and comprehended it fully. It's a straight forward application that I think everyone should know about. 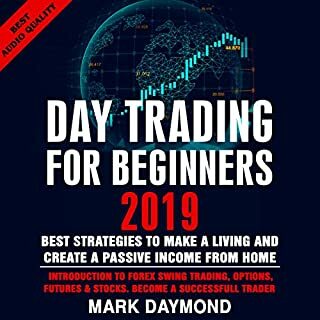 This book is explained all about success.Day trading is also referred to as shotr trading.It is the buying and selling of securities within a single trading day.This is one of the good books to have a strong fundamental knowledge on day trading. "This Book Is Great! Colorful, easy to read and Understand,, Step by Step! Worth listening to it! Would Highly recommend this book!" Love it! Will listen to this multiple times! " The book delivers exactly what it says. Its coverage of intermediate trading concepts is enough to put you squarely at mid-level mastery. Loving the teaching style for this series.